A strange planet is moving through the Solar system on a collision course with Earth, Velikovsky-style, bringing meteor showers and global panic with it. 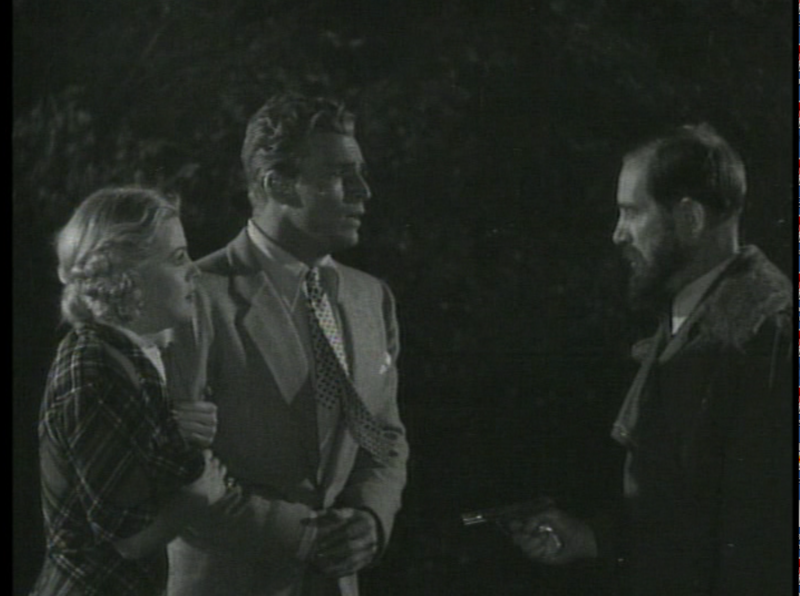 Professor Gordon, stationed at an observatory, receives word that his son, Flash, has postponed his polo game so that he can take a transcontinental flight to return home before (presumably) the end of the world. 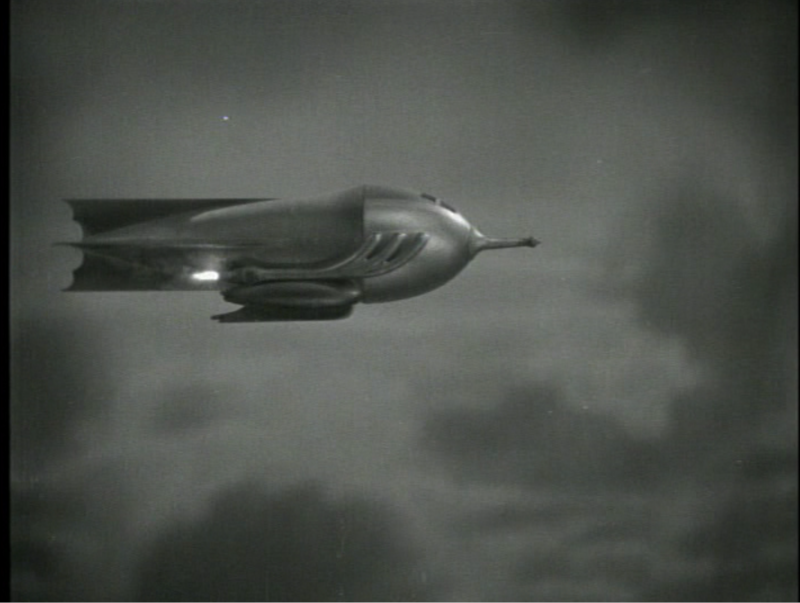 While on that flight, Flash (Buster Crabbe) and a female stranger (Jean Rogers) bail out at the same time, just before meteors cause the plane to crash. They’ve landed near the rocket ship of Dr. Zarkov (Frank Shannon), a scientist (and former colleague of old Professor Gordon) whose plan is to fly to the invading planet and redirect it away from earth. Needing an assistant, Zarkov coerces Gordon and the young woman, Dale Arden, into the ship. The three blast off and soon arrive on the mysterious planet. The planet Mongo, as it turns out to be, is ruled by Emperor Ming (Charles Middleton), to whom the three are taken as prisoners. Upon seeing the beautiful Dale, Ming desires to take her for his bride; upon learning that Zarkov built the rocket ship that brought them there, Ming puts him to work in his own laboratory, in order to conquer the Earth instead of destroying it. As for Flash, his attempts to free his friends awaken Ming’s ire; he has him thrown into the arena to battle three beast men. Ming’s daughter, Princess Aura (Priscilla Lawson), however, has other ideas, and schemes to keep Flash alive for herself. Thus begins the epic, thirteen-episode Flash Gordon, which puts Flash and company into cliffhanging perils that include a flooding underwater palace, fights with fearsome beasts, torture, and even a machine that makes Flash disappear completely. And did I mention the rays? In addition to ray guns, there are gravity rays, melting rays, rays that restore health, and an invisibility ray (the explanation for Flash’s previous disappearance, of course). Throughout the serial, our heroes encounter Shark Men, Lion Men, and Hawk Men, all with their own leaders and complex political relationships with Ming. (Whatever its crimes against realism may be, you can’t accuse Mongo of being a monocultural “Planet of Hats” in the Star Trek vein.) Beyond the physical threats, there are shifting alliances and treachery, and all the while Princess Aura plays both sides, helping Flash escape but working to keep him separate from Dale. 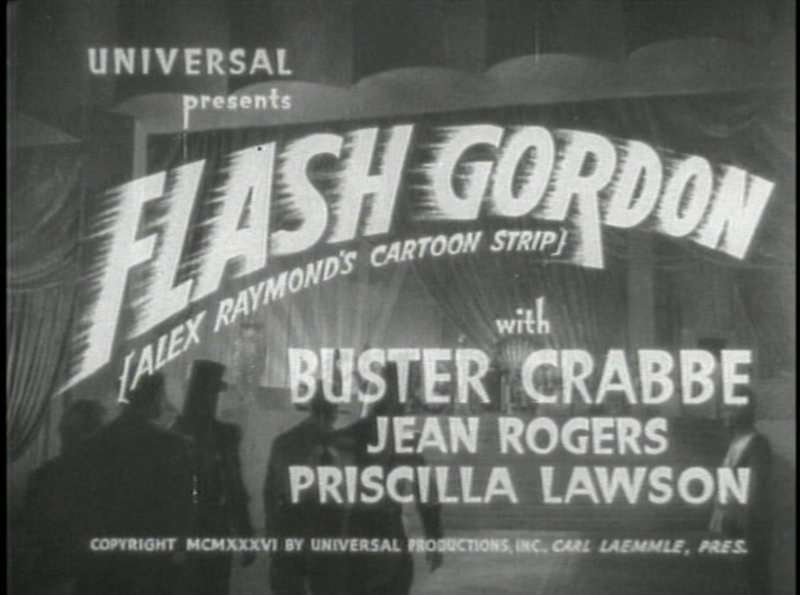 Alex Raymond’s comic strip had only been running for two years when Universal Pictures released its serial adaptation in 1936, scripted by Frederick Stephani, George Plympton, Basil Dickey, and Ella O’Neill, and directed by Stephani. The producer was Henry MacRae, who had been a director of serials since the silent era and knew how to get the most bang for the buck. 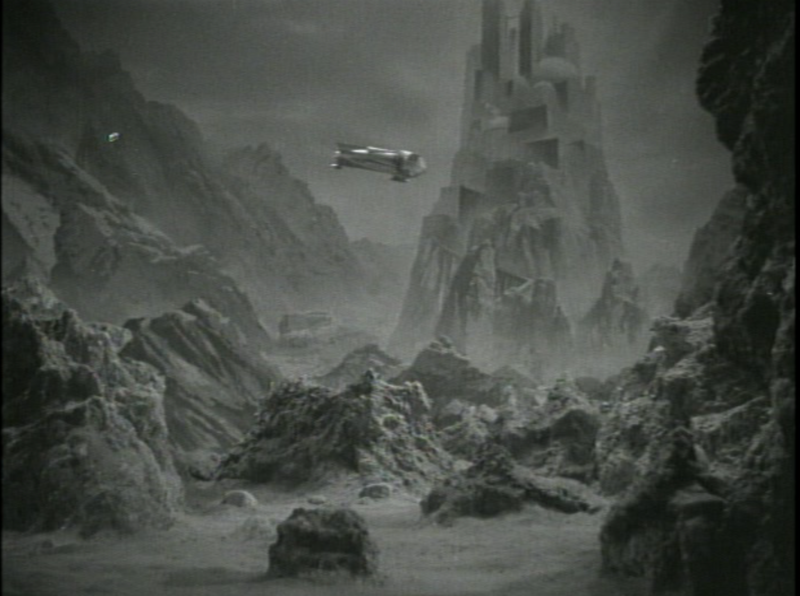 Although serials were known for their low budgets, Flash Gordon was lavish by comparison (the claim that it cost a million dollars has been disputed, but it is still easy to believe that it was more expensive than the average chapter play); it was the first serial to play in a Broadway movie theater and set the tone for much of the cinematic science fiction that followed. 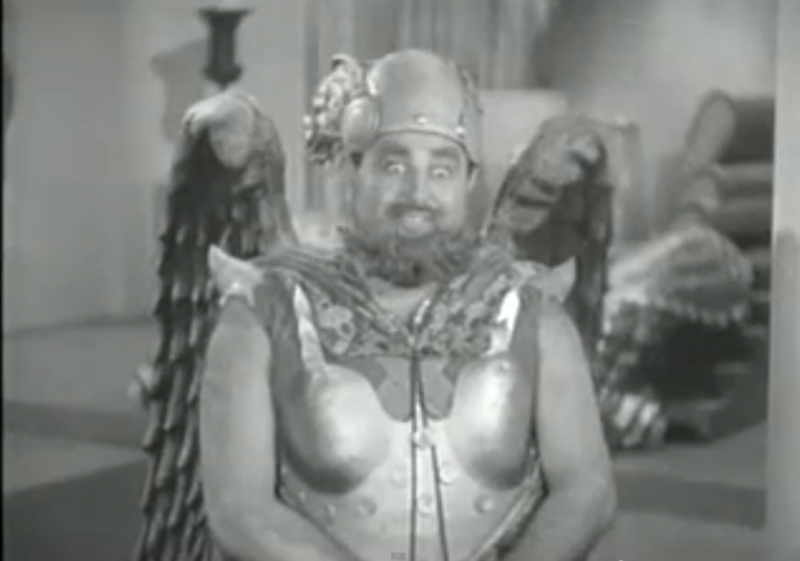 It would be damning with faint praise to say Flash Gordon looks good “for its time;” many of the shortcuts taken in its production—the use of stock footage, recycled sets and costumes, and a score cobbled together from previous Universal horror and adventure films—would have been more obvious to viewers at the time than they are now. 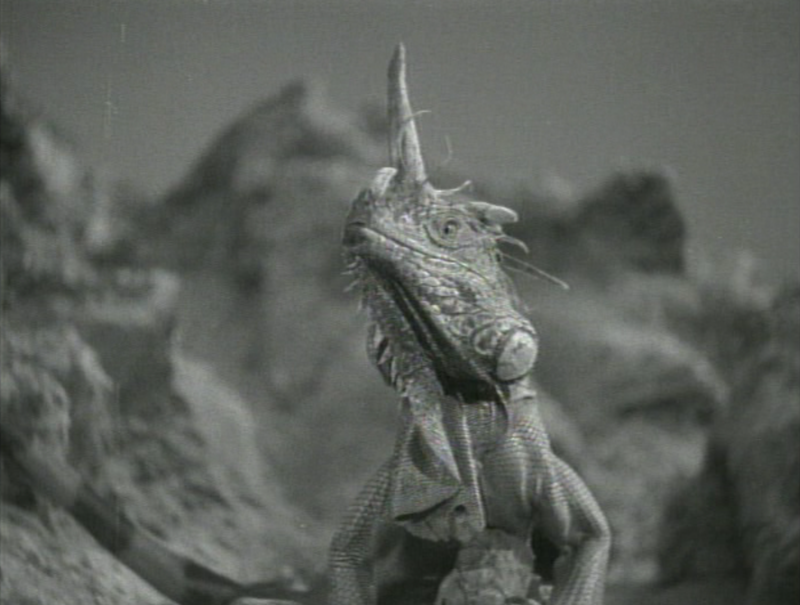 Three years after Willis O’Brien wowed audiences with the stop-motion in King Kong, the many monsters that Flash battles are either familiar animals with some outer space bling attached, or small animals filmed against miniature sets to make them appear gigantic—or both, like the dragon-sized finned iguanas that prowl the valley where Flash and his compatriots first land. 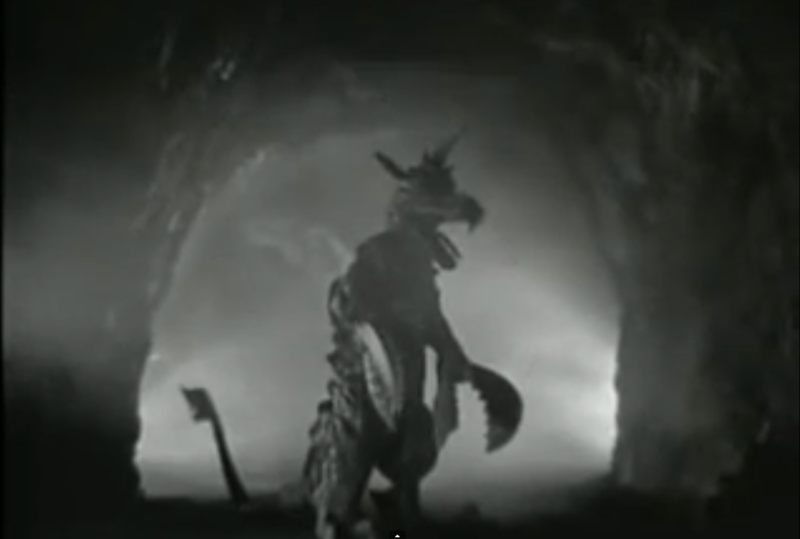 The exception is the bipedal papier-mâché dragon with lobster claws that inhabits the “Tunnel of Terror” in Chapter Two; with the addition of horns and a wall of flame, it doubles as the “Sacred Fire Dragon” in Chapter Nine. None of that matters, however, as the story unfolds with a swiftness that encourages suspension of disbelief, and a game cast that takes the material only as seriously as it needs to be, but no more. First among them is Buster Crabbe as the title character, and I think it’s fair to say that Crabbe is ideal for the part. Like Tarzan (whom Crabbe had also played), Flash Gordon isn’t a role to be acted: it’s a role to be embodied, and Crabbe has the physique (he had been a champion Olympic swimmer, winning a Gold Medal in 1932) and movie-star looks (with hair bleached to match Gordon’s comic-strip appearance) to pull it off. That’s not to impugn Crabbe’s acting: while he isn’t called on to chew the scenery like Middleton as Ming or John Lipson as the Hawk Men’s King Vultan, he has a natural, unaffected screen presence, perfect for the kind of all-American hero who finds himself at the center of all this craziness. Crabbe is engaged with the material and never sounds like he’s reciting lines from a cue card (more than can be said of James Pierce as Prince Thun of the Lion Men). 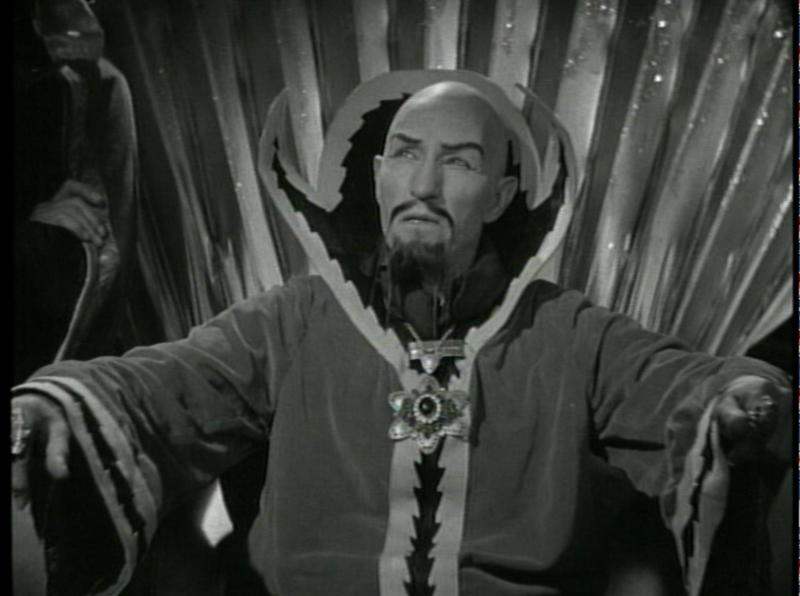 Flash’s adversary, Ming the Merciless, is played by Charles Middleton, who long specialized in “heavies,” and brings a prickly grandiloquence to the role. He’s the kind of seasoned actor who can deliver lines like, “Why did not the sacred gong sound the final note which completes the marriage ceremony?” and make it sound perfectly natural. Ming is one of the great pulp villains, of course, and with his arched eyebrows, pointed beard and mustache, bald head, and long fingernails, he shares a great deal of DNA with that poster child of Yellow Peril racism, Fu Manchu. Like Sax Rohmer’s criminal mastermind, Ming is an invasive force, the perfect stand-in for overseas threats from Europe or Asia (before Pearl Harbor, the pulps and comics often replaced Japan and Germany with their own invented enemies, such as the “Purple Empire” that Operator #5 battled; sometimes such threats were even described as “Eurasian,” covering all the bases). Hailing from outer space instead of a foreign country, however, Ming has a veneer of plausible deniability that has made it easier to keep him around in later decades. 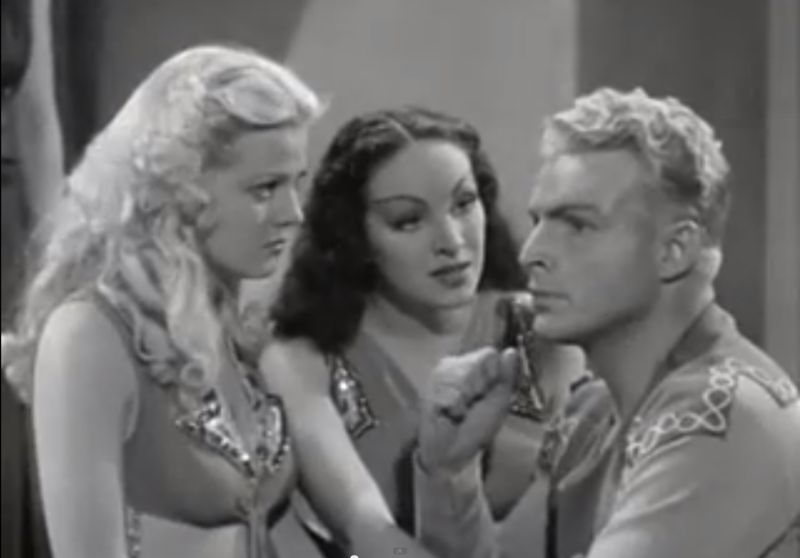 Opposing him, Flash Gordon is the ideal American of the 1930s who doesn’t start fights but isn’t afraid to finish them. 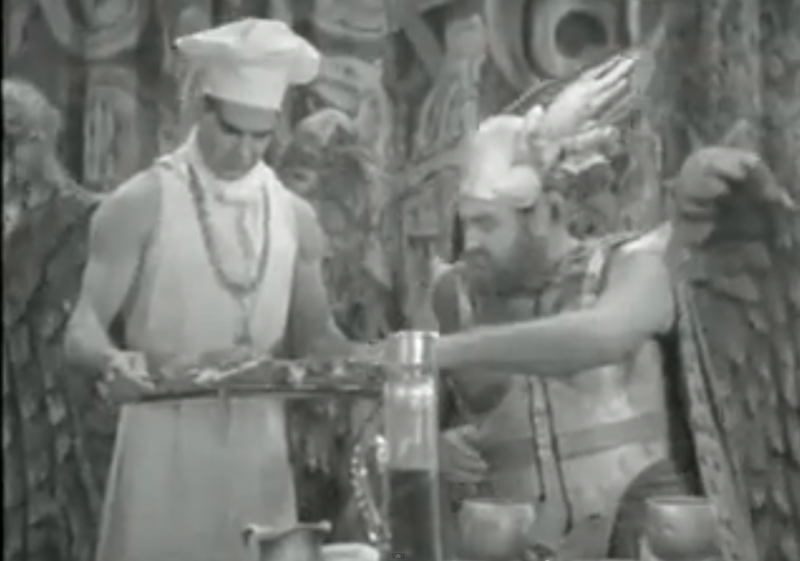 No character in the 1936 production illustrates this better than King Vultan of the Hawk Men. All the Hawk Men (there are no Hawk Women, near as I can tell) have enormous, feathery wings sprouting from their backs, and wear Viking horned helmets and armor. With his boisterous laugh and enormous appetites, Vultan is clearly modeled after Henry VIII (he’s even shown feasting on the drumsticks of what I assume is some kind of space chicken, and mention is made of his numerous wives). However, with his truly over-the-top headdress and the exaggerated pectorals of his breastplate, he looks like Luciano Pavarotti as Brünnhilde in a drag production of Die Walküre. I like Vultan, though: unlike the humorless Ming and colorless Kala (King of the Shark Men, who can’t breathe water—I mean, where to even start? ), Vultan is the only one who seems to really enjoy his villainy. He is, however, a strong argument against those who feel that the 1980 feature version of Flash Gordon was too campy compared to the original. Upon capturing Dale and (inevitably) deciding to wed her himself, he courts her by first terrifying her with his pet “Urso” (a bear painted with badger stripes) and then tries to entertain her by making shadow puppets on the wall. This guy is all over the place; naturally, he becomes Flash’s ally by the end of the serial. And who is Dale Arden but a classic “damsel in distress?” She mostly screams and faints and exists to be rescued (interestingly, only one cliffhanger actually puts her in danger); she is subjected to mind games by Princess Aura, who convinces her that she must make Vultan believe she loves him, or else he will kill Flash. The role isn’t the fault of Jean Rogers, who does as much as she can with it and looks great in the part. In fact, between Rogers as Dale and Lawson as Aura fighting over Flash, it’s not hard to imagine a Depression-era boy at a Saturday matinee developing a sudden, unexpected interest in polo. 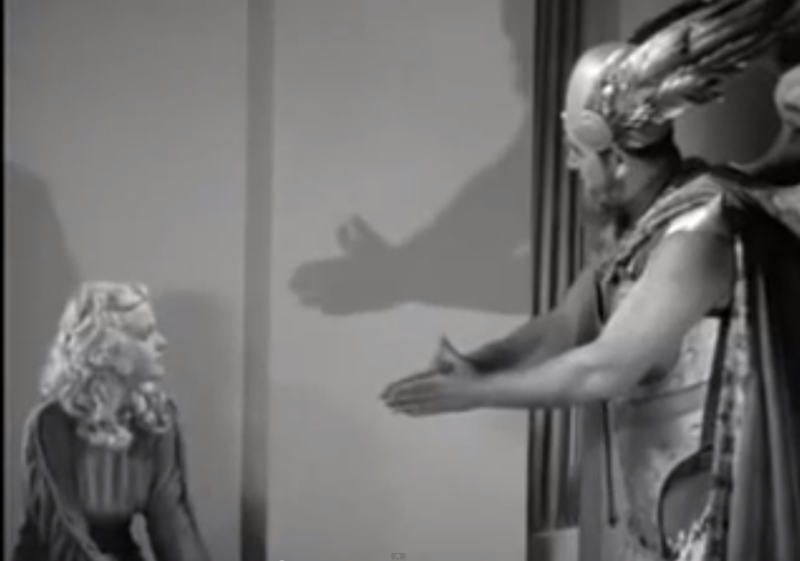 An amnesiac Flash Gordon tries to decide between Dale Arden and Princess Aura, the Betty and Veronica of outer space. And it’s not only for the boys (and their dads): I mentioned Buster Crabbe’s physique, but I didn’t get to how often he appears without his shirt, slick with sweat or bound and tortured. The sensuality and overt (but still PG) eroticism of the 1980 version weren’t invented from whole cloth. When the plot isn’t being moved forward by Ming or one of the other rulers of Mongo, it’s often one of Princess Aura’s schemes that does the trick. To my mind, she’s the real hero of the story, resourceful, determined, and intense. No wonder she ends up on the throne at the end, paired up not with Flash but the loyal Prince Barin, who is so exciting and interesting that I didn’t even think to bring him up until now. Where I Saw It: It’s on YouTube. The first chapter is here. Best Cliffhanger: “Shattering Doom” (Chapter Seven): Flash, enslaved in King Vultan’s atomic furnace room, has an electric wire attached to his wrist, to kill him instantly if he rebels. Doctor Zarkov surreptitiously attaches the wire to the handle of Flash’s shovel and instructs him to throw the shovel into the furnace when the time for escape is right. Flash orders the other slaves to duck behind the safety wall and makes his move, triggering a massive explosion. Will he get to safety in time? Biggest Cop-Out: Does anyone believe Ming is dead at the end of Flash Gordon? Even without the knowledge that there would be two sequels, did anyone believe it in 1936? What’s next: In two weeks, join me again for a look at Robinson Crusoe of Clipper Island. Al Williamson, Interview in ERBZIne, Volume 0846.
remake win over today’s audience? It’s a good question: I doubt a campy take like the 1980 film would go over very well today, but I’m not sure the property lends itself to a “grim & gritty” treatment. I haven’t seen the 2007 TV series, but it doesn’t sound too promising. Thanks for reading and for your great comments! I’ll be covering at least one more Flash Gordon serial this summer, so stay tuned! doesn’t want to be play any more comic-book characters. like the Raymond and Mac Raboy illustrations of Dale. possibly the worst adaptation of the FG story ever made. Unless you’re a FG completist, it’s best avoided. I am looking forward to your next FG reviews! I agree the comic adaptation struck the right balance, from what I’ve read (I’ll admit I haven’t caught up with the whole series, as I’m terribly behind on my comic reading). Your recommendation encourages me to finish it!